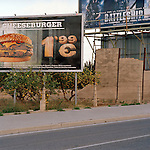 Adonde Ahora? 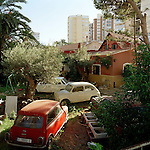 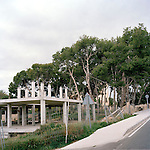 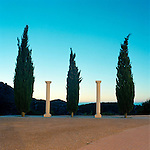 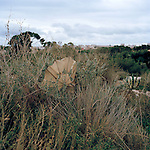 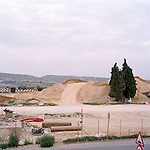 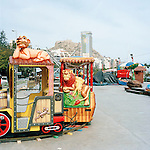 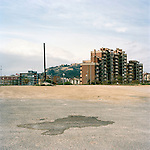 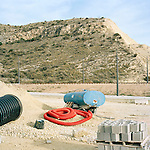 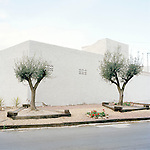 Is a project investigating the city of Alicante, on the Spanish Costa Brava, where I have been photographing since 2009. 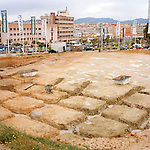 The city itself encompasses what seems, to the external eye, a complex of historical layers that demands an archaeological perspective. 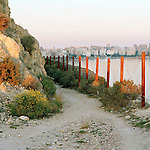 An important Mediterranean port ever since its inception and throughout the Roman colonization, Alicante was the theatre of fierce battles during the Second World War and the Spanish Civil War. 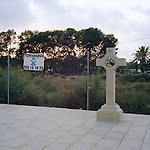 Further developments brought forward the impact of tourism together with its benefits such as improved infrastructure as well as grief – attacks from the Basque separatists, for example. 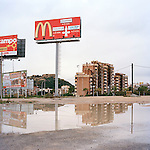 As a result, the lens turns towards the representation of a contested space, encouraging an approach bordering the domains of political science and sociology. 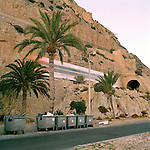 The road works improved access to facilities, airport, shopping malls; a new light train system solves, for now, the flow between residential and touristic areas, cutting through mountains and shading the beachfront. 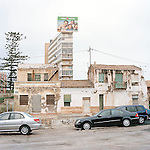 The urban sprawl and the ever-present tug of war between countryside and the city is yet another act of this ever evolving play. 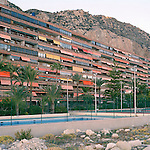 Alicante provides, in an area of a few square miles, the greater part of issues that are relevant to today’s cities; it is an acute representation, albeit on a reduced scale, of the challenges that lie ahead in urban development. 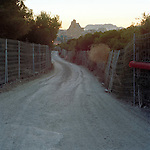 A place of fierce economical clashes and ideological disputes, Alicante blurs the line between heritage, conservation and transformation. 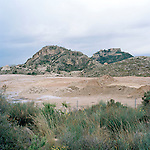 The aim is to keep registering an objective perspective on the area throughout a layer of its history, however extended it may be.